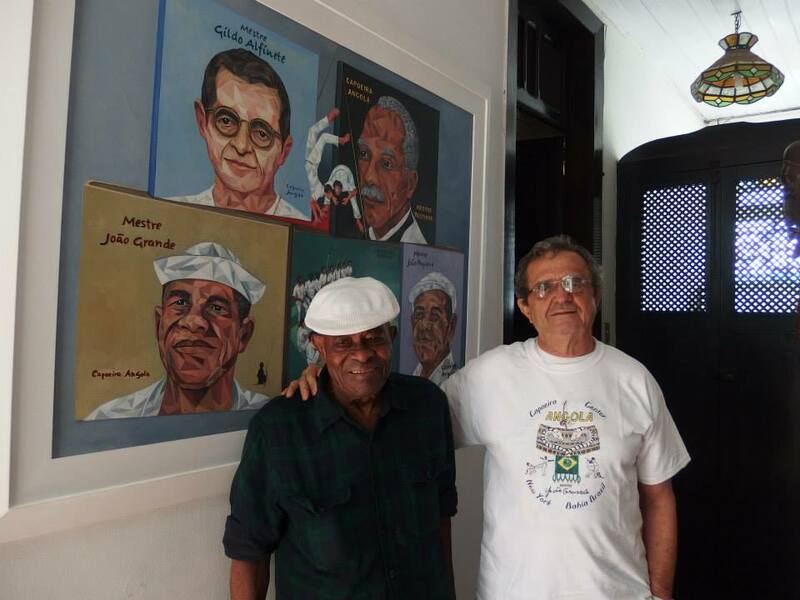 1940 - Was born on the 16th January in the Tororó neighborhood in Salvador. 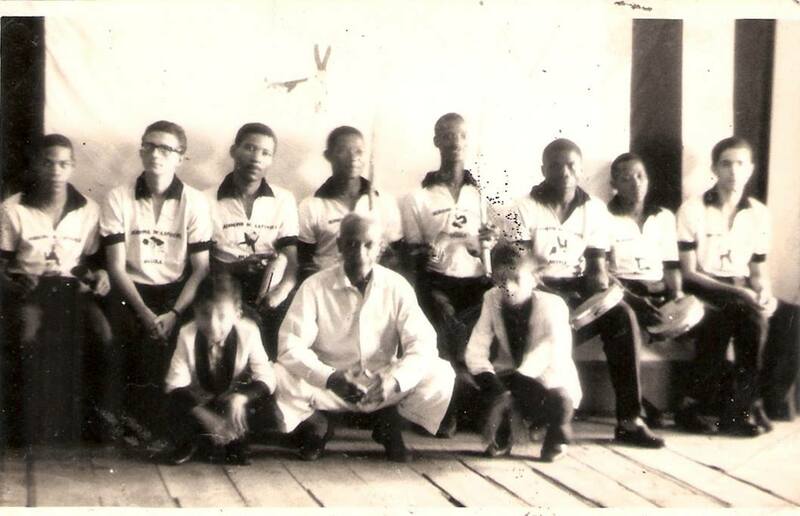 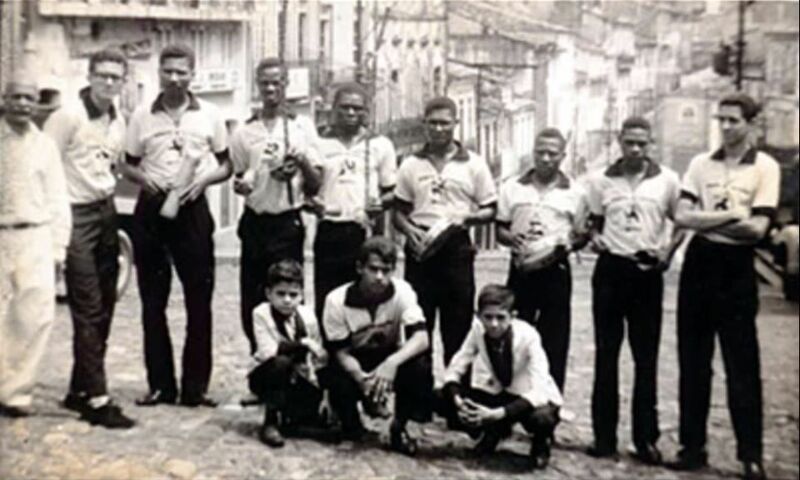 1959 - Started capoeira Angola in Pelourinho 19 with M Pastinha. 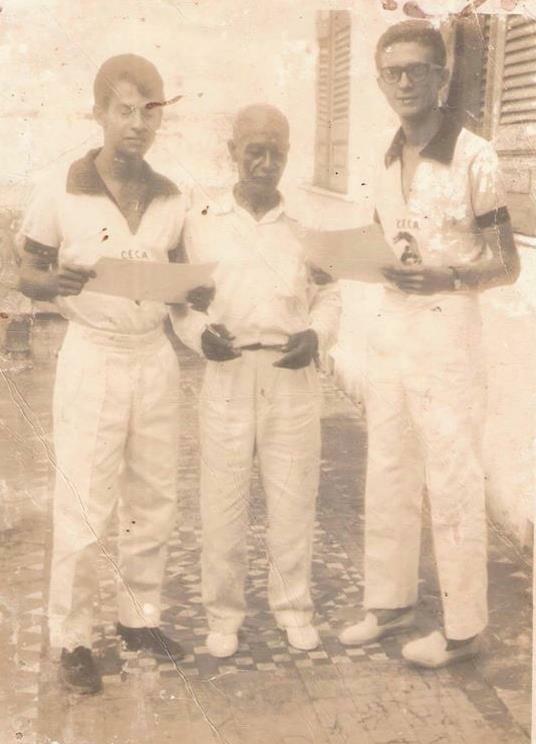 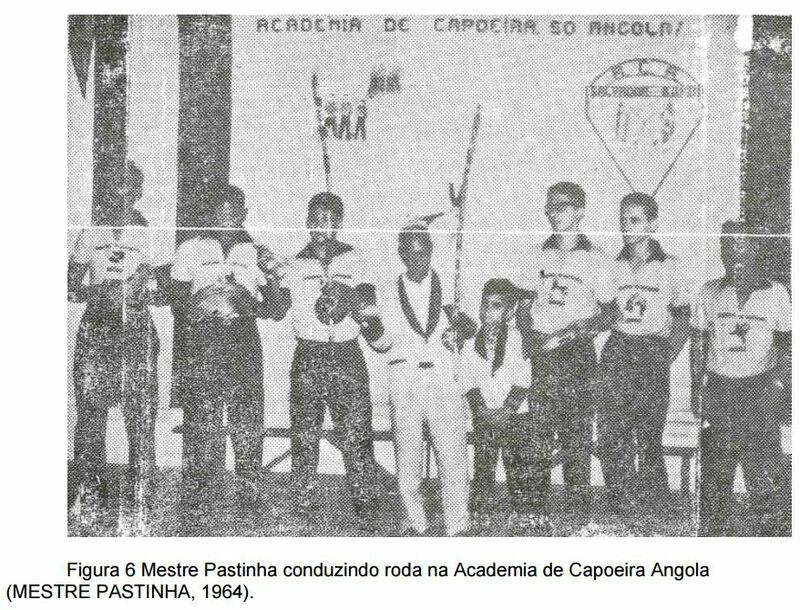 1963 - Received the capoeirista diploma from M Pastinha. 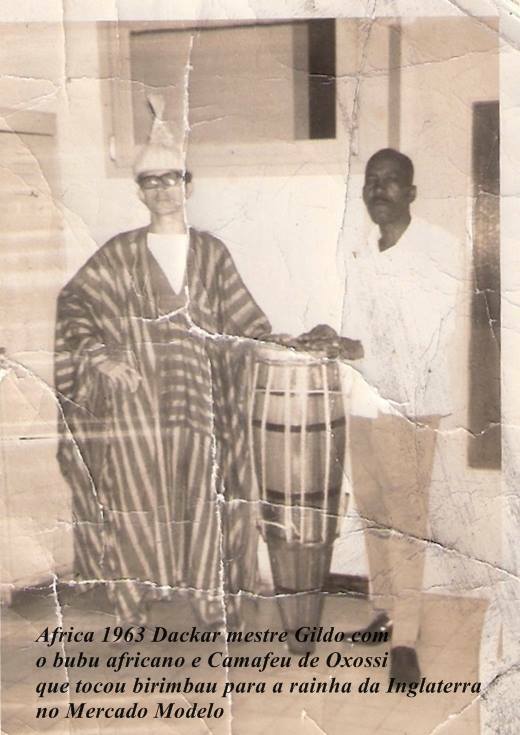 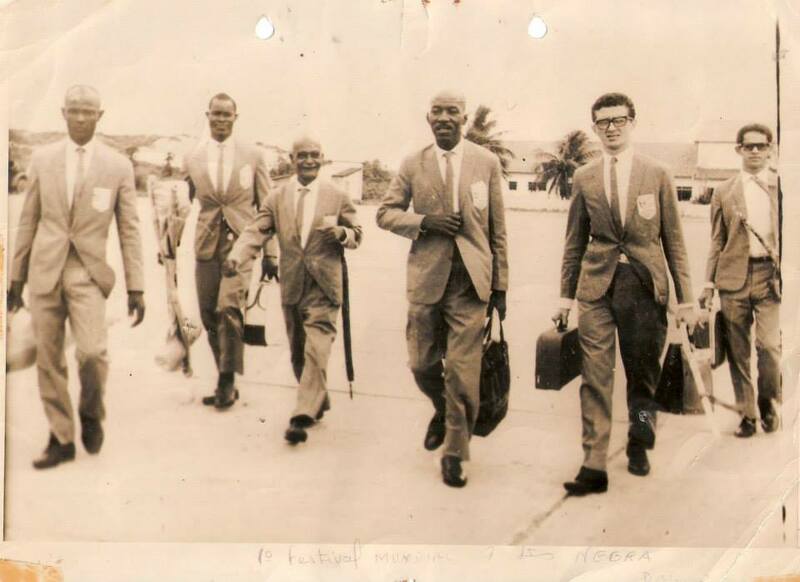 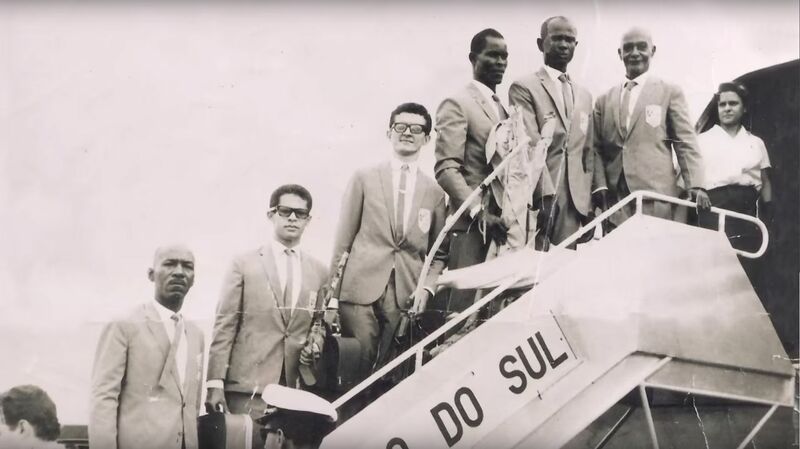 1966 - Travelled to the I Festival of Black Arts in Dakar, Senegal, together with M Pastinha, M Camafeu de Oxossi, M Gato Preto, M João Grande and M Roberto Satanás. 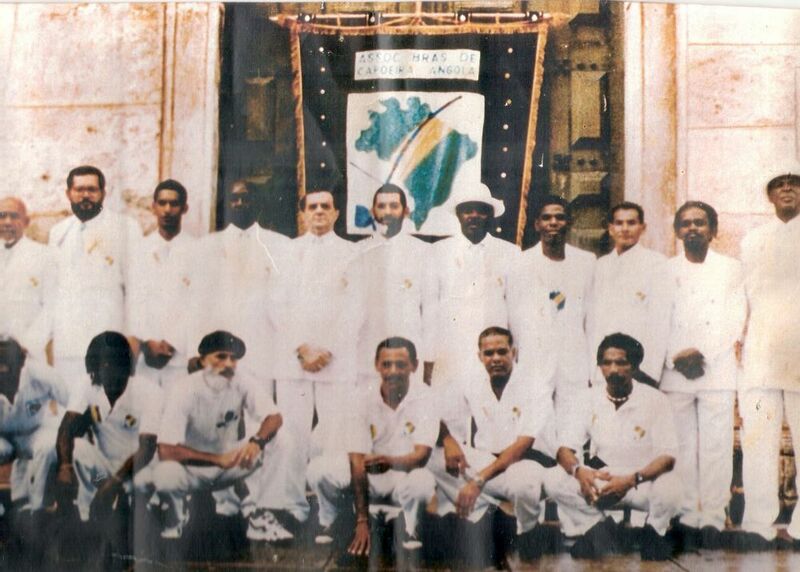 1993 - On 18th July participated in the refoundation of the ABCA. 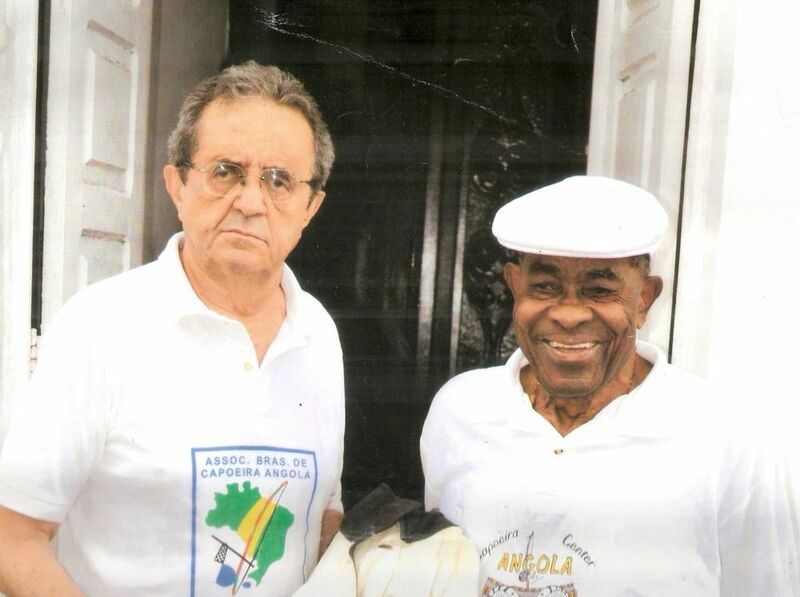 2015 - Died on the 12th October in Salvador. 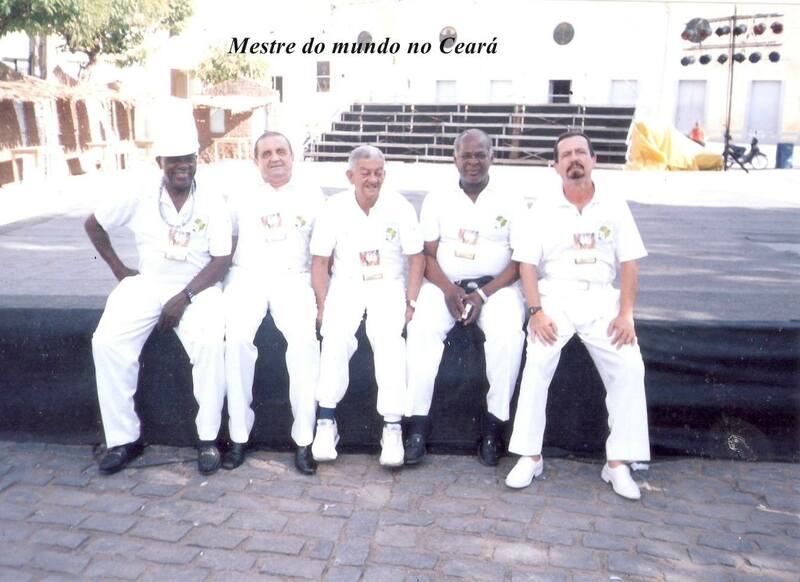 Playing M Pastinha and ? 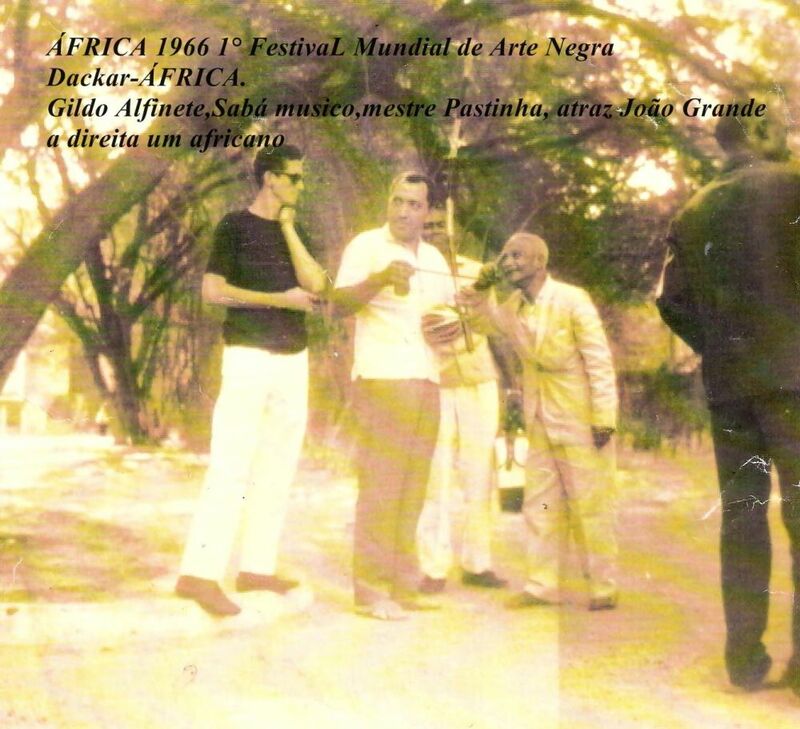 AFRICA 1966 1° World Festival of Black Arts Dackar - AFRICA. 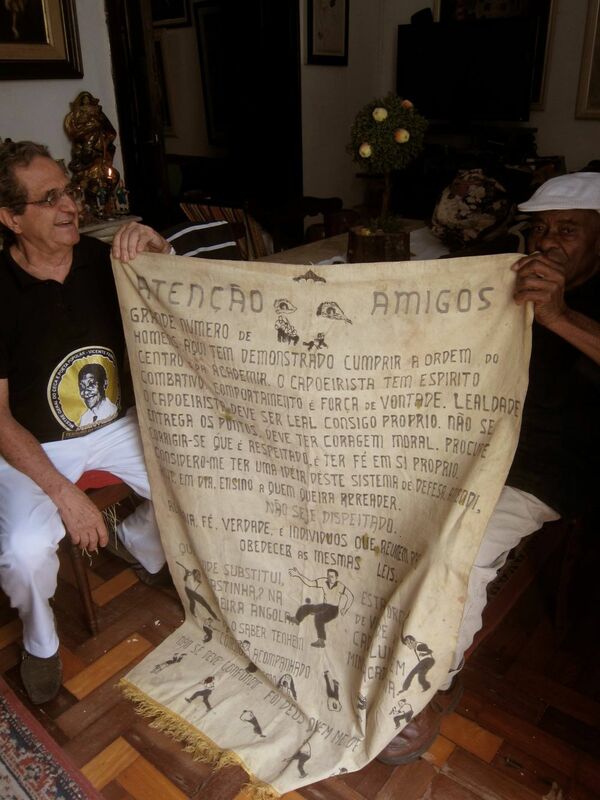 Mestre Pastinha's student, Gildo Lemos Couto (Mestre Gildo Alfinete) has been teaching Capoeira Angola for 40 years in Salvador, Bahia. 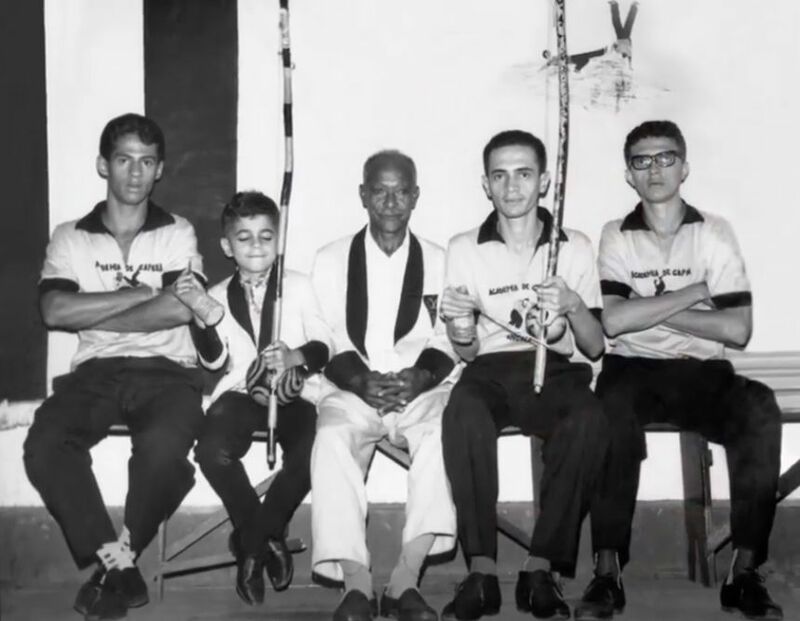 Born on 16th January 1940, he joined capoeira by the incentive of a friend called Dr. Comenerio because "he needed to learn self defence", says the mestre, adding: "When I was a boy, between 13 and 15 years old, I began to see the figure of a decorated berimbau, the folk of the Docks playing and I was enchanted by this, it made me happy". 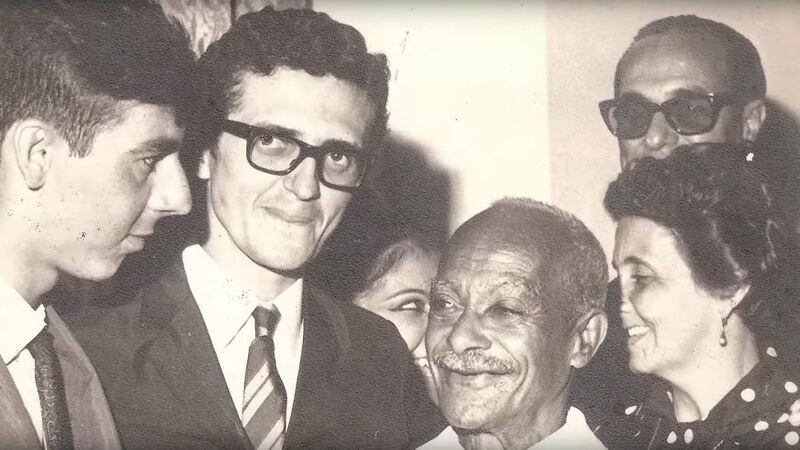 After his friend took him to Mestre Pastinha's academy, in 1959, he didn't stop. 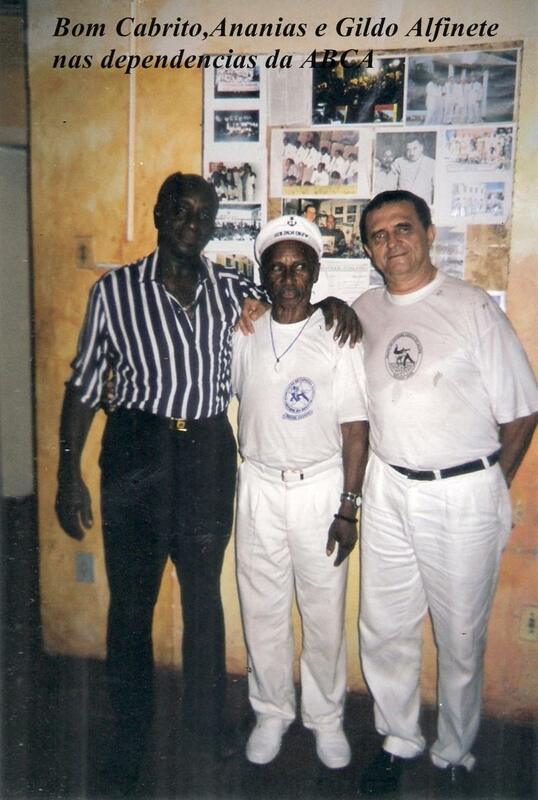 "From then on, I've always faught for CECA (Sport Centre of Capoeira Angola). 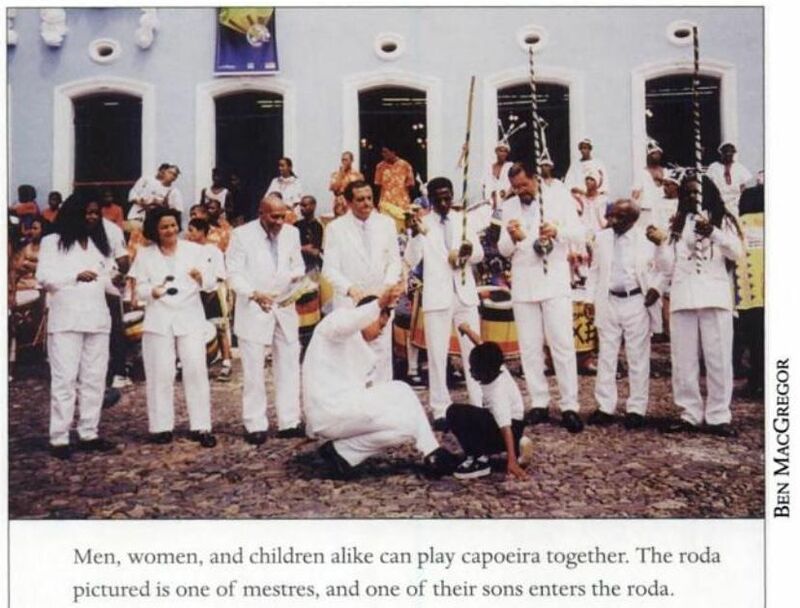 That time Bimba already had his place in Terreiro, Pelourinho, and Pastinha on Pelourinho Square". 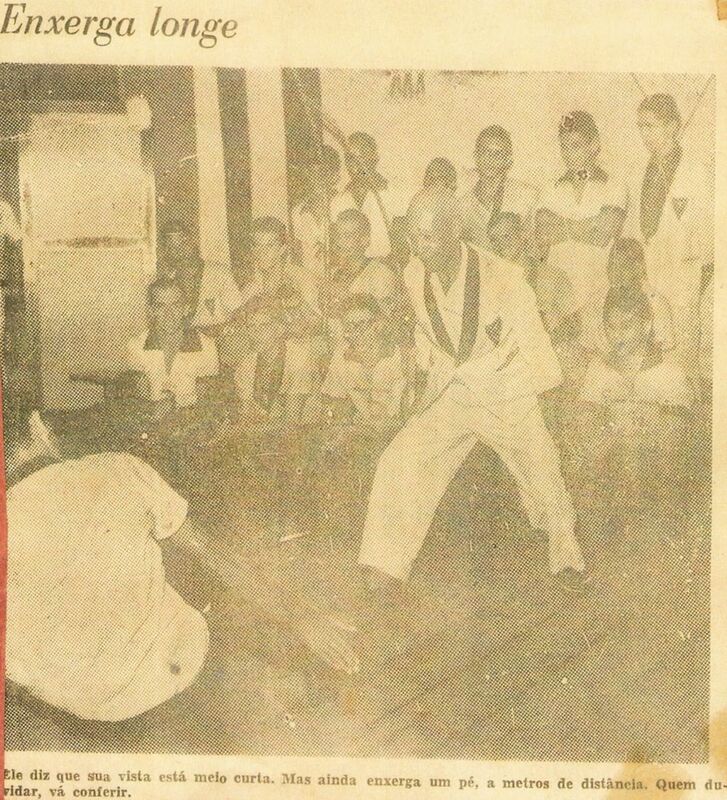 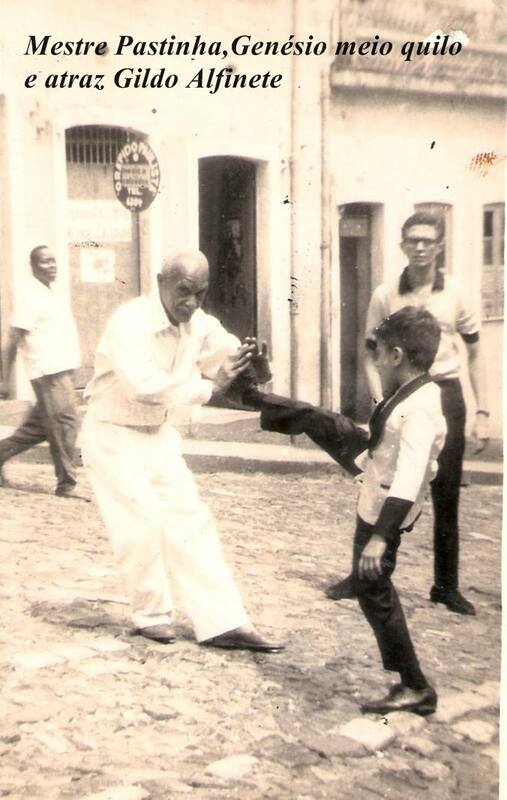 From Mestre Pastinha's trainings he got the philosophy, that Mestre Gildo till today is passing forward. 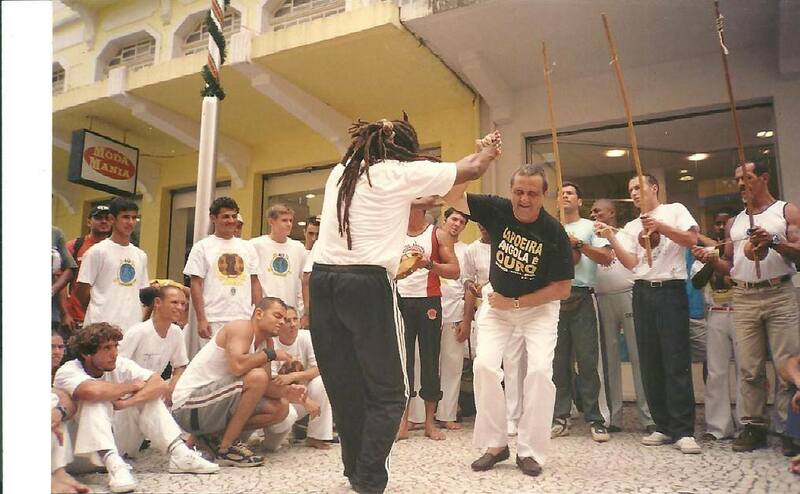 "In the trainings he always said that the main thing was the ginga, if you didn't have a good ginga and cunningness, you would not be a good capoeirista, everything else you learned in the roda. 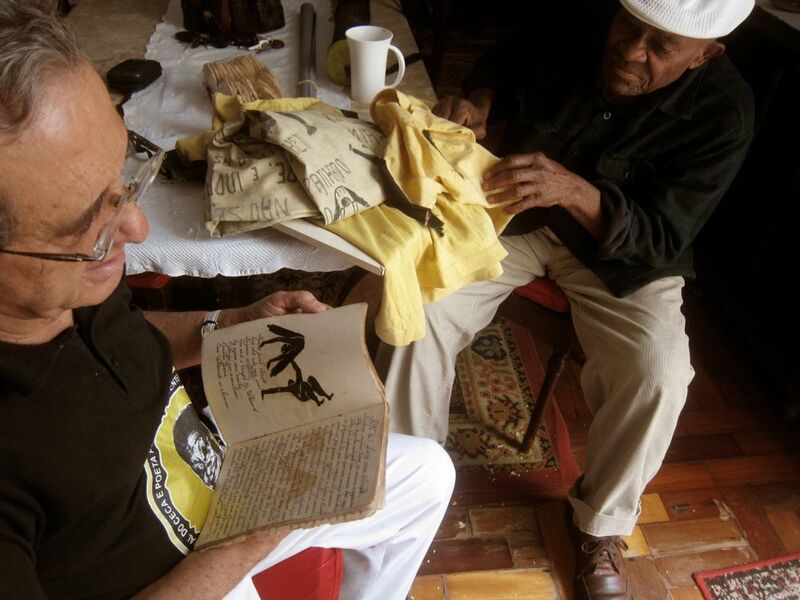 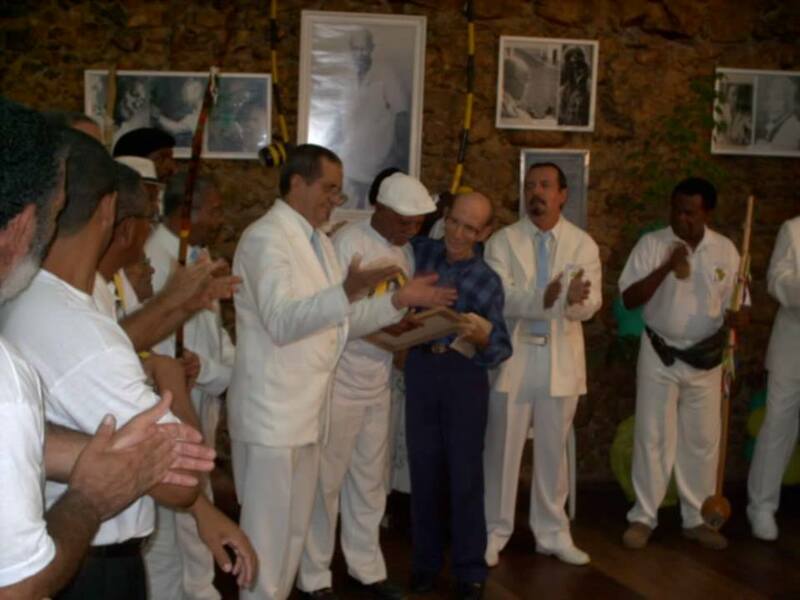 I am very proud to have been Mestre Pastinha's student, since all that I am in capoeira I owe to him and all that I do for capoeira is the retribution of what he did for me." 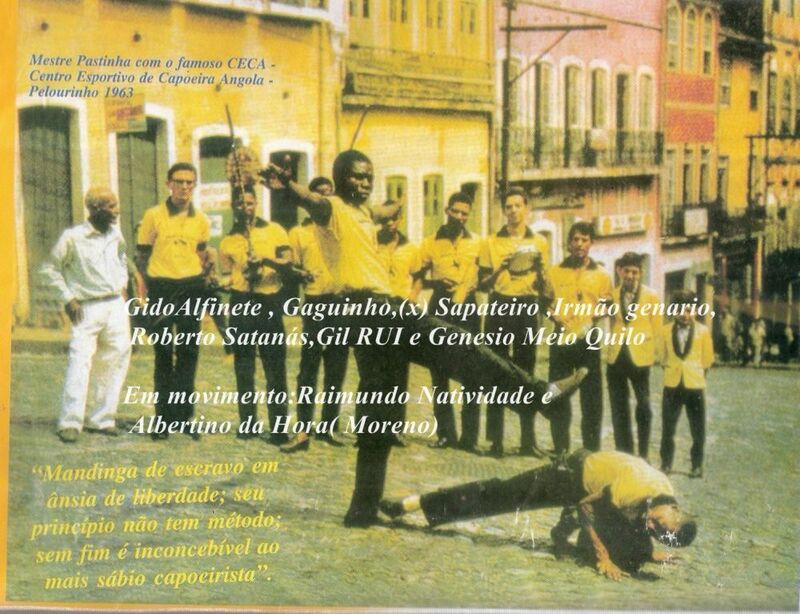 But his entrance into the art was not peaceful. 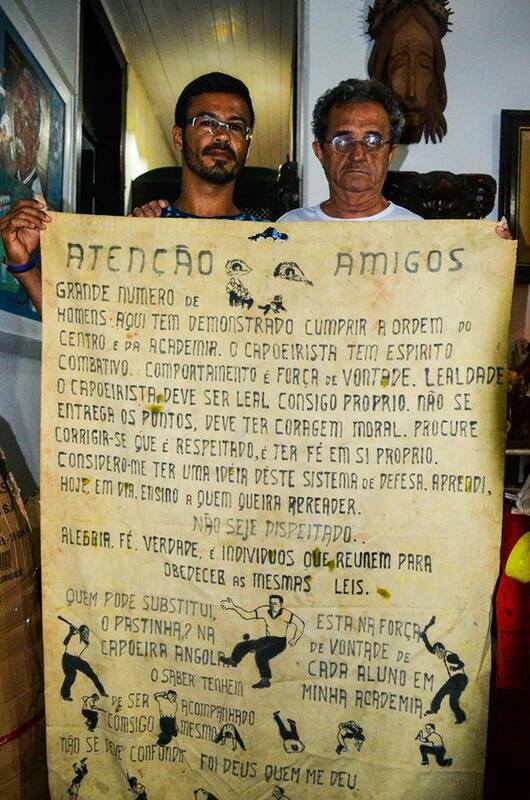 "My father didn't approve it. 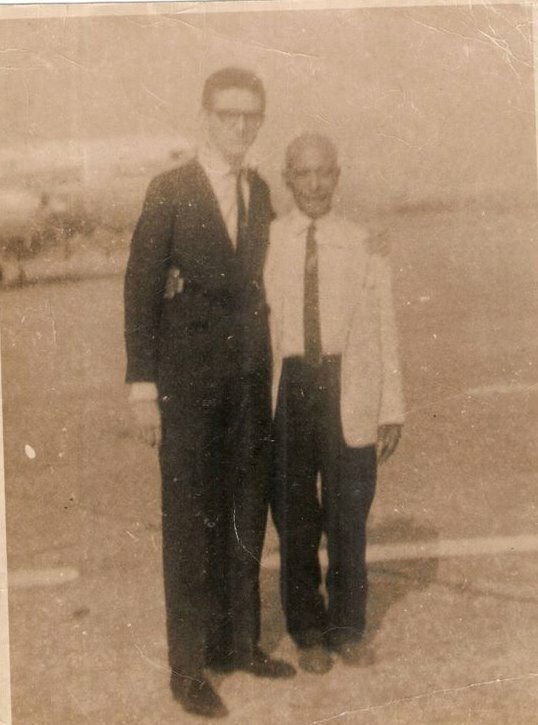 I suffered a lot of discrimination, however I overcame it. 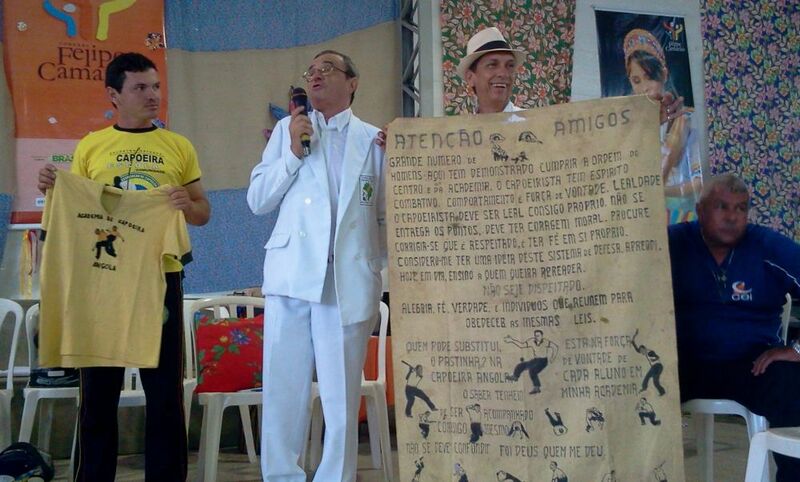 In my time there were different opinions and until today capoeira is being marginalized", he claims. 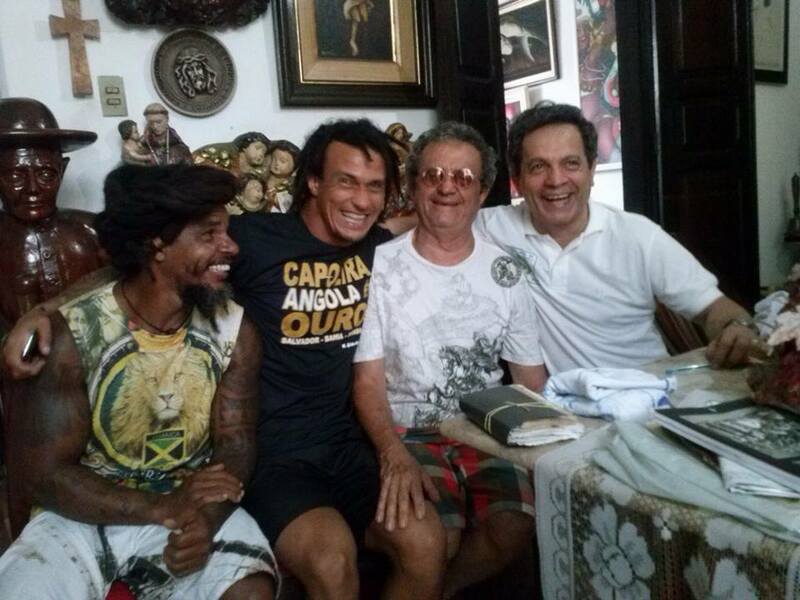 But he is content. 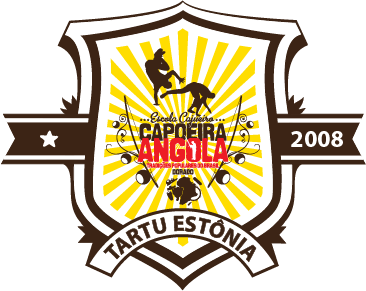 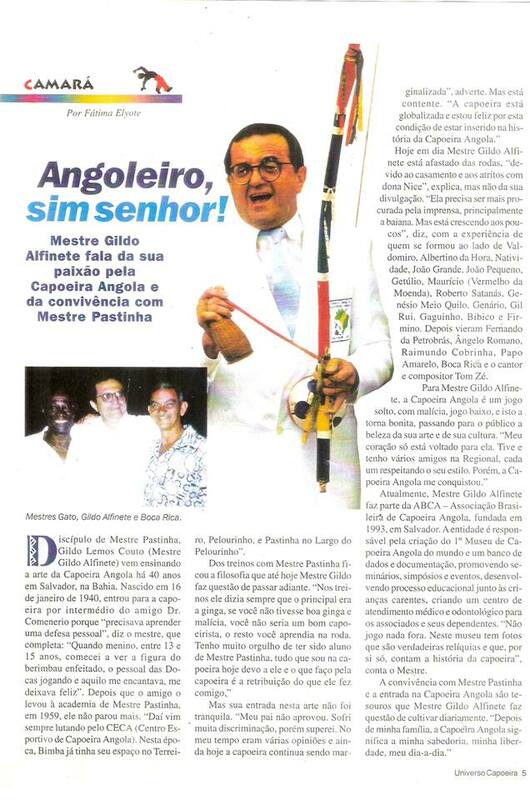 "Capoeira is globalized and I am happy for having been included in the history of Capoeira Angola." 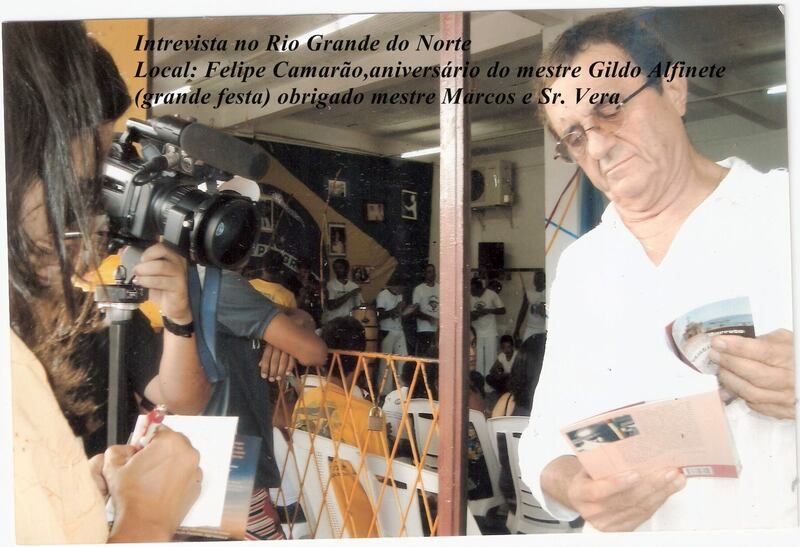 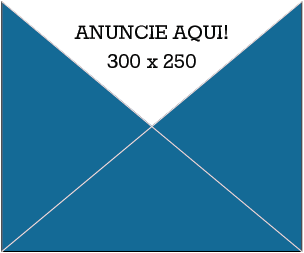 Nowadays Mestre Gildo Alfinete is staying away from the rodas "due to marriange and misunderstandings with dona Nice", he explains, but not from advertising it. 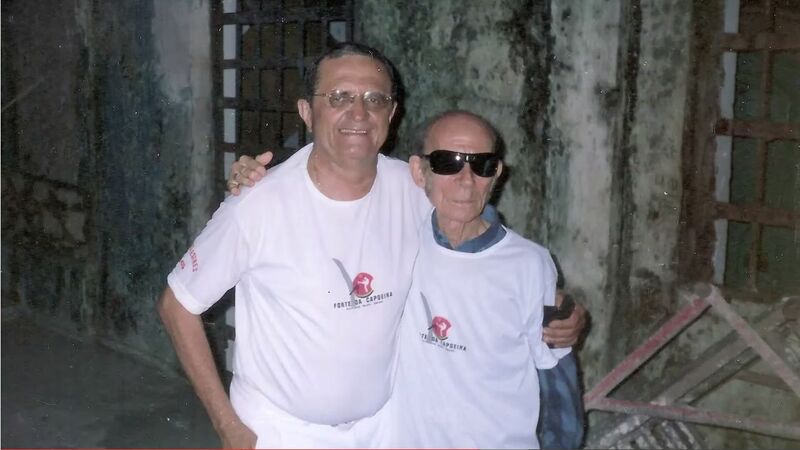 "It needs to be sought for more by the press, mainly the bahian one. 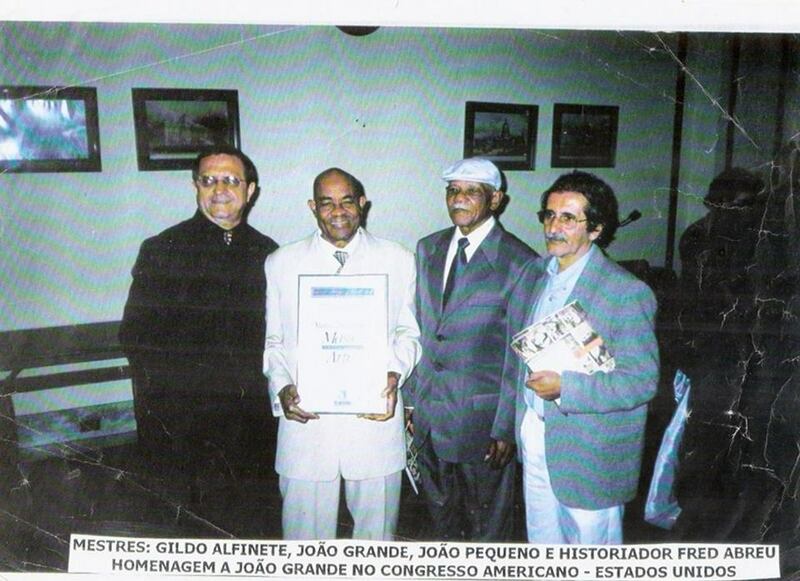 But it is growing little by little", he says, with the experience of someone who was formed by the side of Valdomiro, Albertino da Hora, Natividade, João Grande, João Pequeno, Getúlio, Maurício (Vermelho da Moenda), Roberto Satanás, Genésio Meio Quilo, Genário, Gil Rui, Gaguinho, Bibico e Firmino. 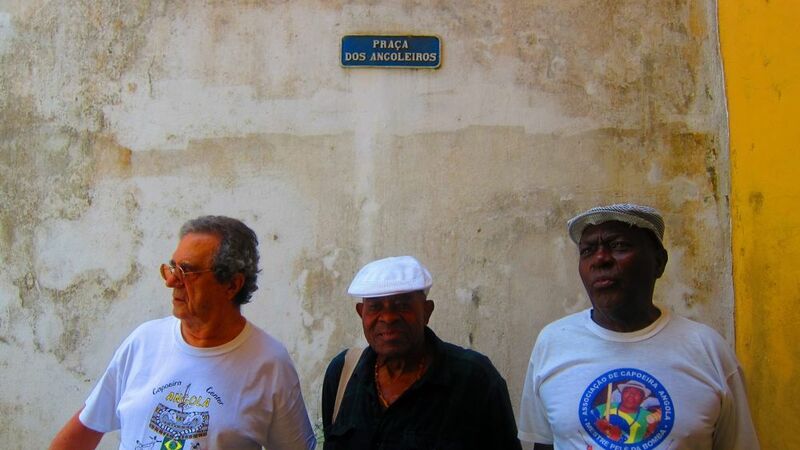 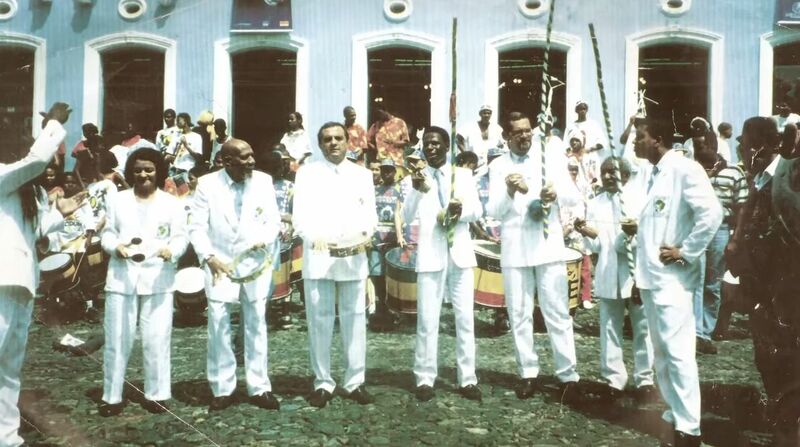 Depois vieram Fernando da Petrobrás, Ângelo Romano, Raimundo Cobrinha, Papo Amarelo, Boca Rica and the singer and composer Tom Zé. 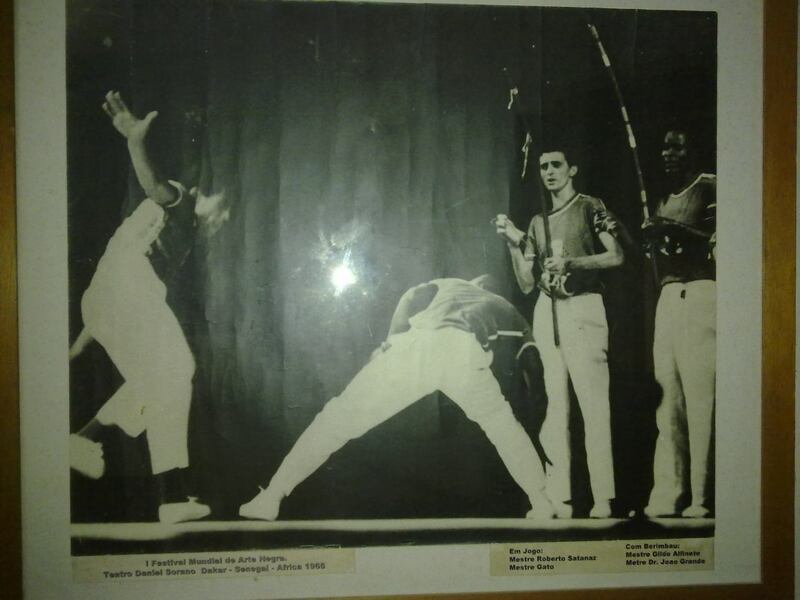 For Mestre Gildo Alfinete, Capoeira Angola is a loose game, with cunningness, low game, and this makes it beautiful, passing for the spectators the beauty of its art and culture. 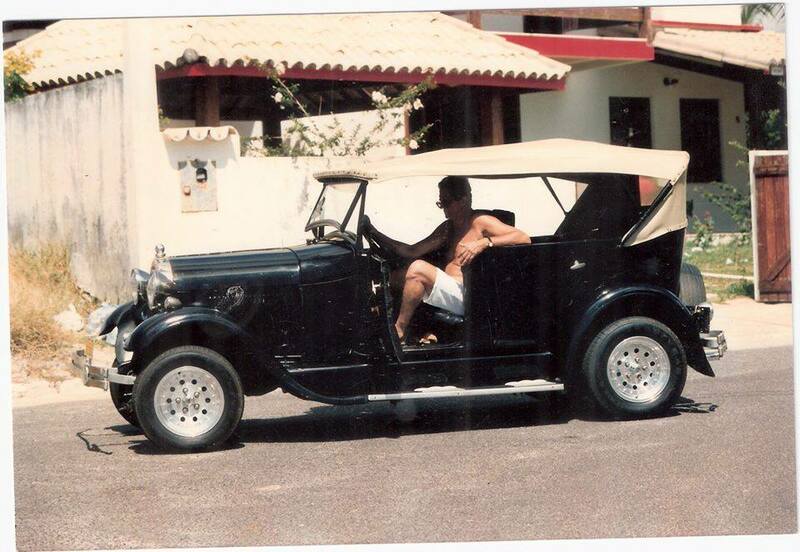 "My heart is beating only for it. 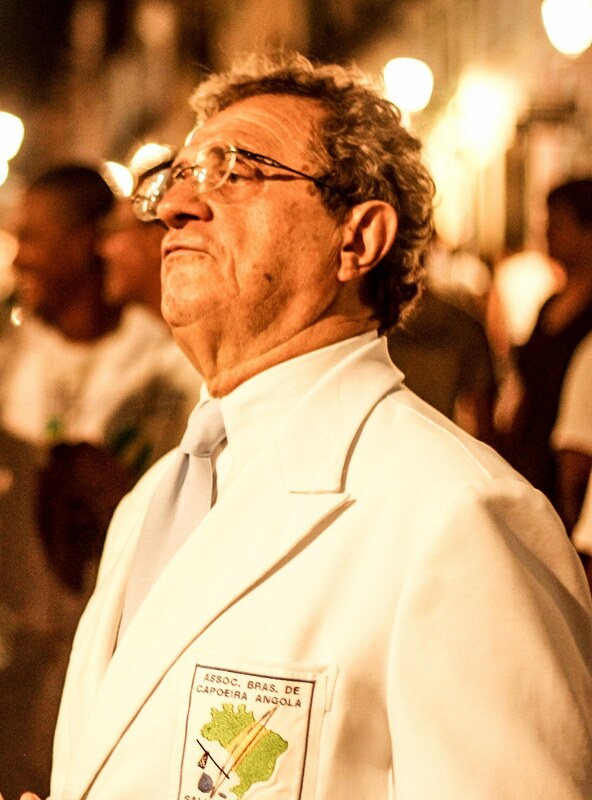 I've had and have many friends in Regional, each respecting his own style. 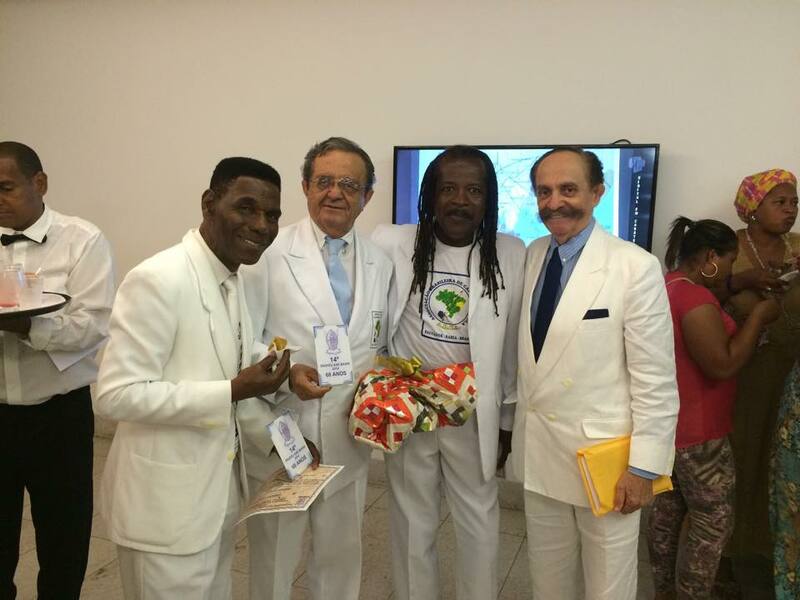 However, Capoeira Angola has conquered me." 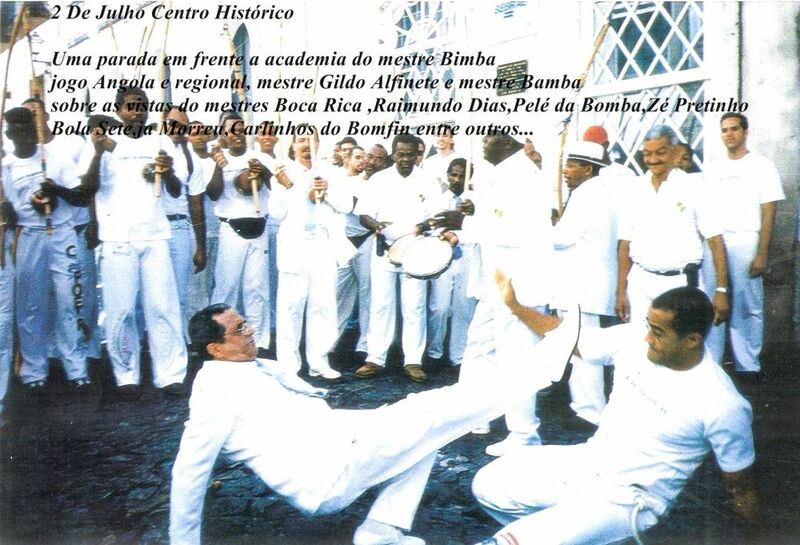 Today Mestre Gildo Alfinete is part of ABCA - the Brazilian Association of Capoeira Angola, founded in 1993, in Salvador. 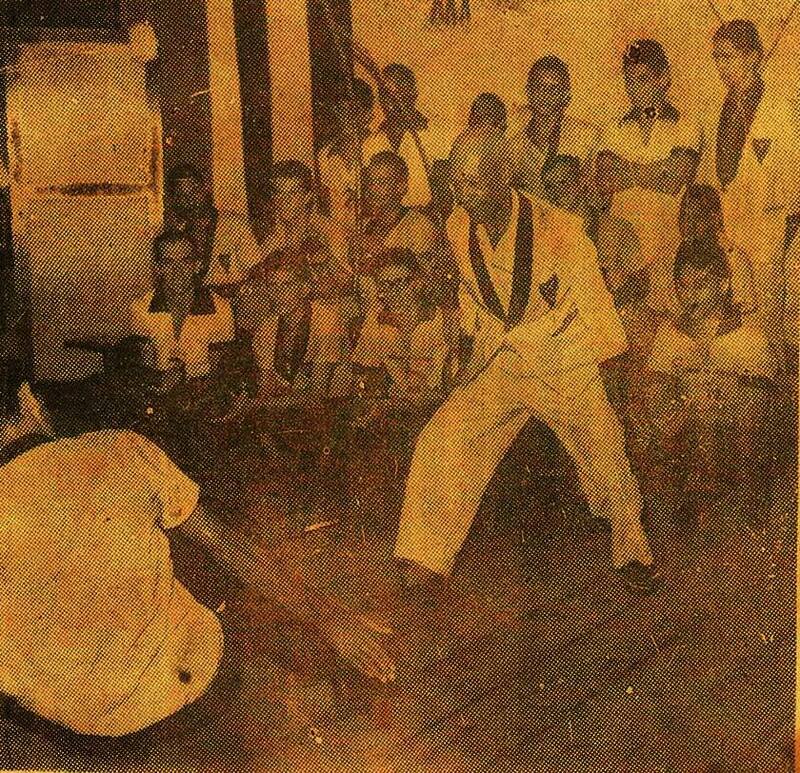 The entity is responsible of establishing the 1st Capoeira Angola Museum of the world and an archive of data and documentation, promoting seminaries, symposiums and events, developing an educational process together with children in need, creating a medical and odontological centre for its associates and their families. 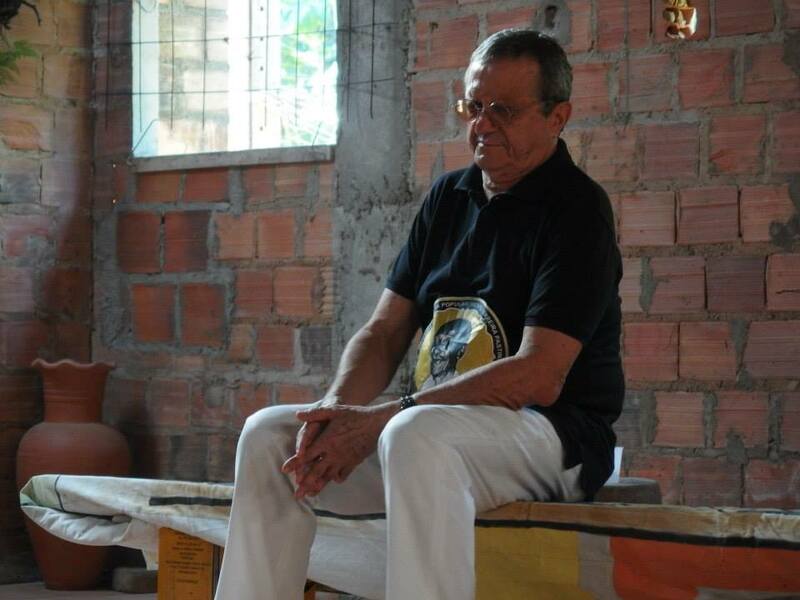 "I'm not throwing anything away. 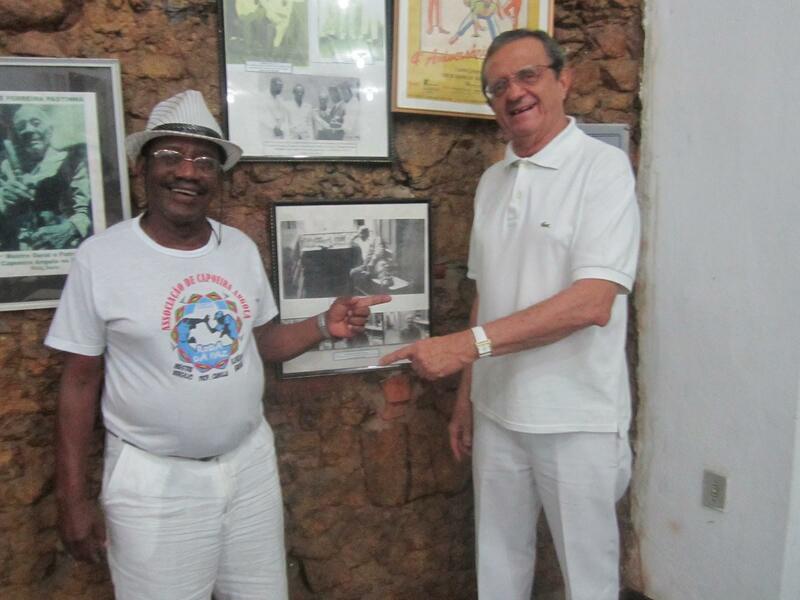 There are photos in this museum that are true treasures and that on their own account tell the story of capoeira", tells the Mestre. 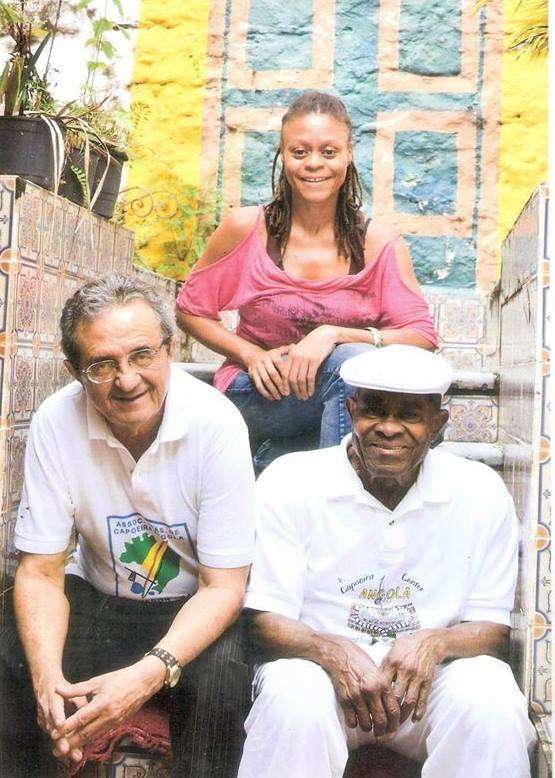 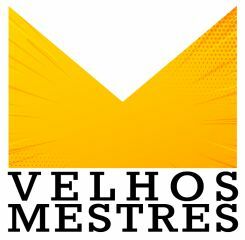 Spending time with Mestre Pastinha and joining Capoeira Angola are treasures that Mestre Gildo Alfinete cultivates daily. 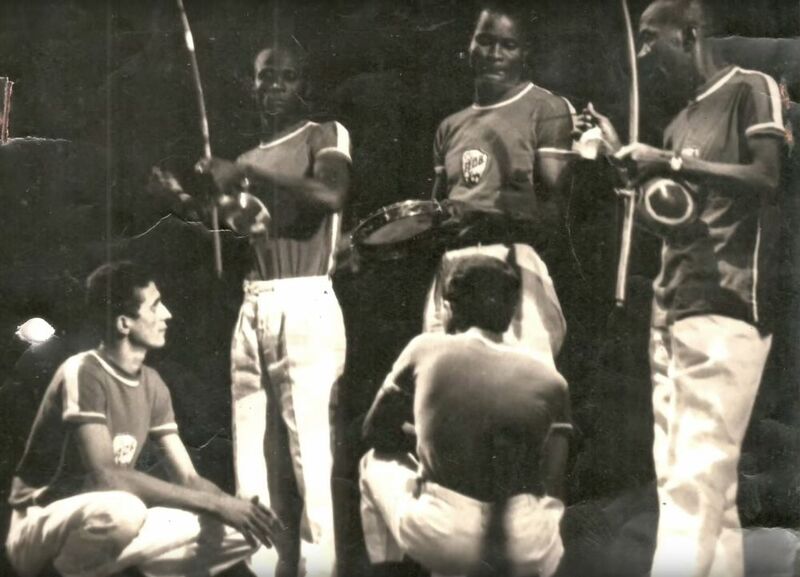 "After my family, Capoeira Angola means my knowledge, my freedom, my everyday."